How wild is Dartmoor? If that means wild in the sense of untouched by human hands, then it’s clearly not very wild at all -- but then there is sadly nowhere left on earth that can be said to be unaffected by the presence of humans. If we mean wild in the sense of feeling that the natural elements are more in control than we are, then Dartmoor may be in with a chance. For a relatively small area like Dartmoor, continental-scale wildlife corridors are probably not that relevant, neither are bears or cougars likely to find sufficient space to roam there even if every farm were abandoned. But the thorny issue of whether moorland grazing animals should be restricted or removed to allow for the re-growth of trees which covered the area many thousands of years ago is part of this same debate. 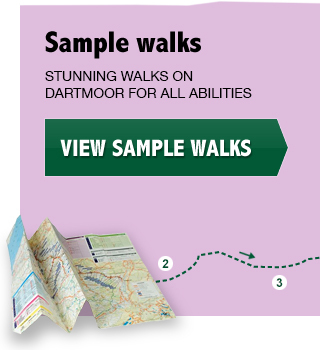 As a relative newcomer to Dartmoor (just 20 years in the area), I hesitate to venture an expert opinion. But I can speak of my own experiences. Personally, I prefer walking in areas where there are trees, even if only small copses or brave isolated hawthorns dotted around the hillside. I tend to avoid going for too many miles over high featureless moorland – which many experts classify as ecological desert . But on the other hand, I know many people who love that sense of wide open space which is so rare in southern England. The big views, the wind, the land rolling out for miles around: although not rich in biodiversity, it speaks to many people. George Monbiot might well attribute it to the fact that we evolved in the savannah, used to being able to see for miles. And I think the experience many get on Dartmoor goes to the heart of the issue. As well as walking enthusiasts, I take out groups of young people who have been brought to Dartmoor as part of a visit to the UK. They often emerge rather reluctantly from the warm comfort of their coach and trail unenthusiastically up the first hill, with many questions focusing on how long the walk will be. By the end, however, having climbed a tor, forded a stream, bounced on the edge of a mire and run up and down a few grassy slopes, many of them have come alive. The freedom to roam anywhere across open land, not just on a clearly marked path, and explore whatever comes along is a real novelty to those used to well-managed urban or country parks and it can light a spark in them. And what is the value in having a land where people live and work, rather than just visit? 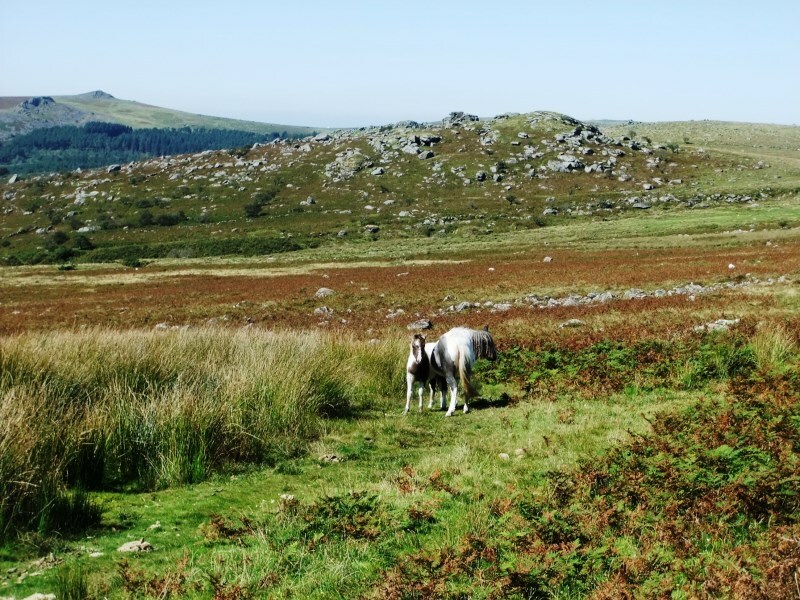 For millennia, Dartmoor has been shaped by human hands and their traces are everywhere, from ancient field boundaries and abandoned mines to modern day farmers rounding up livestock on their quad bikes. To have that link broken, by abandoning the farms and their associated communities, would surely serve to increase our sense of separation from the natural world, which is the last thing that’s needed at this critical time. On our crowded little island, we need to find ways we can live in nature non-destructively, not just visit it on a weekend break. So Dartmoor needs to continue as a working environment. It may not be truly wild, but it’s precious nevertheless.